NCLEX Review Course (2019) - Lectures & 3000+ Questions - PASS Guraranteed!! The NCLEX Review Course Bundle Is An All-Inclusive Online Review Program That Includes - Online Lectures & 3000+ Practice Questions!! The NCLEX Review Course Bundle Includes All 3 Courses (NCLEX Predictor Exam, Question Bank & Online Review Course) For One Low Price - After Registration!! The NCLEX Review & Practice Questions Includes - Cardiac, Neuro, Pulmonary, GI/Renal, Hematology/Oncology, OB, Pediatrics, Psych, Pharmacology & The Most Recent (2019) NCLEX Exam Updates!! The NCLEX Review Course Bundle Reflects The Most Current (2019) NCLEX Exam Updates & Will Include Online Lectures & Over 3000 Online Practice Questions. This Course Bundles The NCLEX Predictor Exam, Question Bank and Online Review Course. This Course Provides A Great Opportunity For Those Nurses Looking To Save Money But Not Compromise On The Material Needed To Pass The NCLEX National Exam. The NCLEX Review Course Bundle Will Be Available Online For Either 90, 120 or 150 Days After Registration. This Extended Registration Period Will Provide Plenty of Time To Complete This Course. There Will Be Unlimited Opportunities Within The Allotted Registration Period To Repeat The Practice Questions & Exams Until A Passing Score of 80% of Greater Is Achieved. Just as with the actual NCLEX National exam, you willl have 3.0 hours in which to complete the 175-question exam. The NCLEX Predictor Exam is included in the purchase of the NCLEX Review Course Bundle!! The NCLEX Question Bank is included in the purchase of the NCLEX Review Course Bundle!! 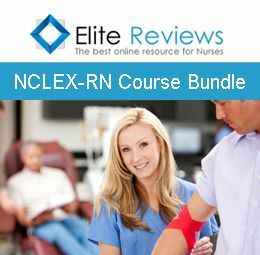 The NCLEX Online Review Course is included in the purchase of the NCLEX Review Course Bundle!! You must retain a copy of your score report from all online exams embedded in the Full Online review course; as well as from the NCLEX-RN Certification Exam from National Council for the State Board of Nursing.